The smartphone industry is undergoing some major changes. While some companies are moving forward and continuing to progress, others are falling back and possibly disappearing all together. Research In Motion, the makers of the BlackBerry line of phones, has run into more trouble. Recently we reported their current struggles, which include the second delay of the BlackBerry 10 to 2013. Now, Research In Motion has taken yet another hit. After a ruling was handed down in a California courtroom, Research In Motion now owes Mformation Technologies a grand total of 147.2 million dollars for infringing on their patents. The amount of money comes from the determination that Research In Motion should pay Mformation Technologies eight dollars for each unit sold. The problem for Research In Motion comes from the fact that 18.4 million units were sold that use the technology that was patented. Research In Motion disagrees with the verdict and is going to look into their options to appeal. For a company that is losing money fast and is running into trouble often, the loss of nearly 150 million dollars might bring Research In Motion closer to its end. If it does not get absorbed by another company or come into a great new innovation, BlackBerry’s might be disappearing from the market sooner than expected. While Research In Motion is falling fast, Nokia is hoping to increase sales by cutting their prices in half. 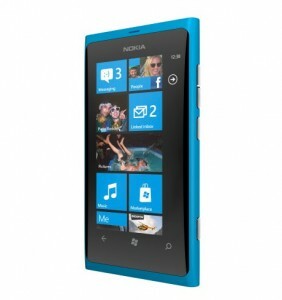 The Nokia Lumia 900 Windows smartphone will now cost customers in the United States half of what it did in April when it first hit the market. Nokia itself is experiencing a tough time. The company is losing money and as a result is cutting ten thousand jobs. The decision to cut the price of their top phone can be called both a desperate attempt to stay relevant and a move to make the phone more widespread to increase its popularity to raise the anticipation for future models. Nokia officials point out that other popular phones have their prices cut not too long after debuting in order to get more people to purchase the phone. While scrutiny follows many other phones on the market, the Apple iPhone continues to get praise. 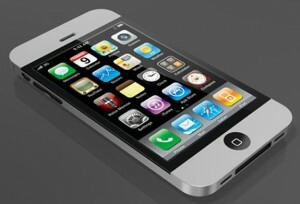 And the long-awaited iPhone 5 is reported to hit the market as early as August 7th. The iPhone 5 is expected to pull rug out from under the Samsung Galaxy S3, which has experienced success among consumers. Apple has pushed up the release of the popular phone in order to make sure the Galaxy S3 does not cause iPhone owners to switch over as contracts expire over the next few months. Reports from China indicate that not only is the iPhone 5 definitely coming earlier than expected, but also production had already begun. There are no released reports about the innovations the phone has or about any specifics on the phone. It is also not 100% certain that the device will be called the iPhone 5. It is becoming more than obvious that the BlackBerry and Research In Motion are going to be things of the past soon. After being the top competition to Apple since the introduction of the iPhone, it is almost the end of the line for the smartphone company. The Nokia Lumia 900 is still in limbo. It is either going to pick up steam and become one of the biggest competitors for the iPhone and Apple or it is going to never catch up and fall off the map before we even know it. The Samsung Galaxy S3 is the only phone that consumers are even comparing to the iPhone. However the iPhone is slowly, but surely taking over the entire smartphone market. If the iPhone 5 is really coming out as soon as next month, Apple might as well claim a lifelong seat on the throne as King of the smartphone world.